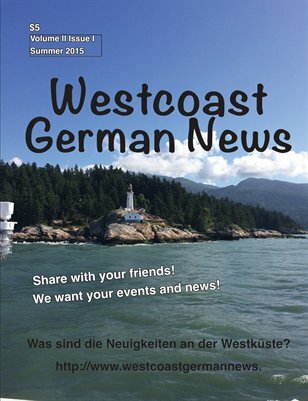 Westcoast German News is published roughly 8 to 10 times a year, depending on the amount of content available. 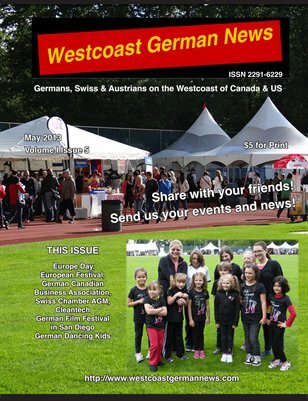 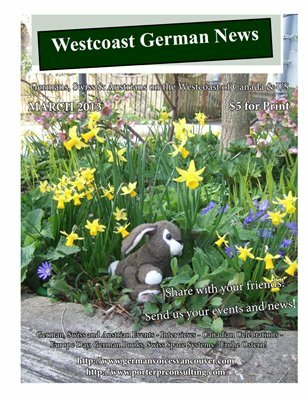 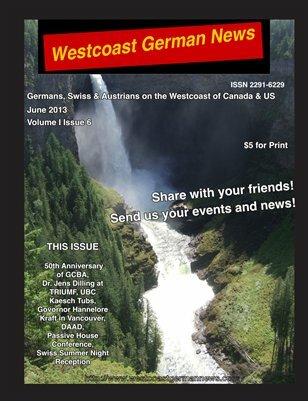 This magazine contains news and evens from Austrians, Swiss and Germans living abroad on the west coast of Canada and the US. 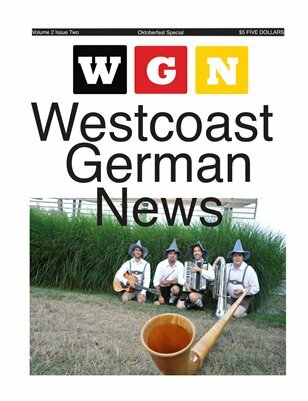 Prost to Oktoberfest season! 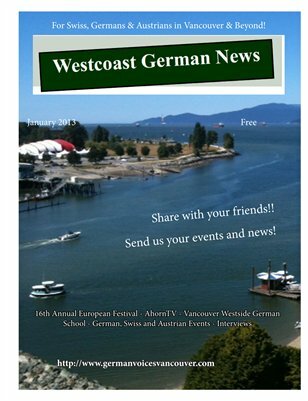 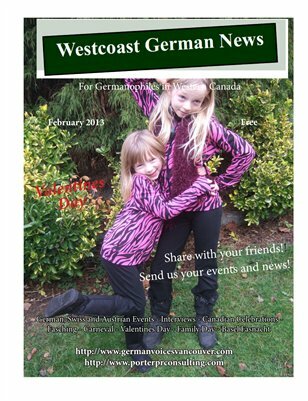 Westcoast German News is a monthly newsletter for Germans, Austrians & Swiss living on the westcoast of Canada and the US. 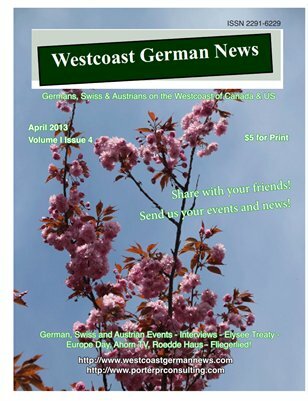 Westcoast German News: Westcoast German News - March 2013 Edition! 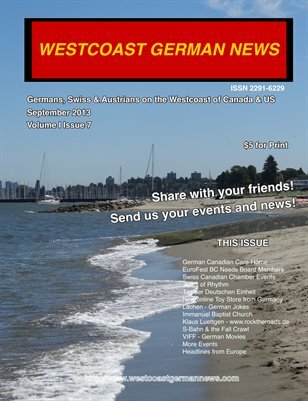 Learn about German, Swiss & Austrian Initiatives, events and companies operating on the westcoast of Canada and the US!